I first encountered this biscuit recipe in the fall of 2009. It was my sophomore year of college and after a year of living in the dorms, I finally had a kitchen. It wasn’t mine, as I did still technically live in the dorms, but I now had a boyfriend who had an apartment, which meant… I had access to a kitchen. And I had a lot of baking to catch up on. So one Friday evening found me browsing allrecipes.com for biscuit recipes. I wrote down one that looked alright (read: uncomplicated) on a tiny pink Post-It and set about baking. The first bite I took of those biscuits was nothing short of magical. 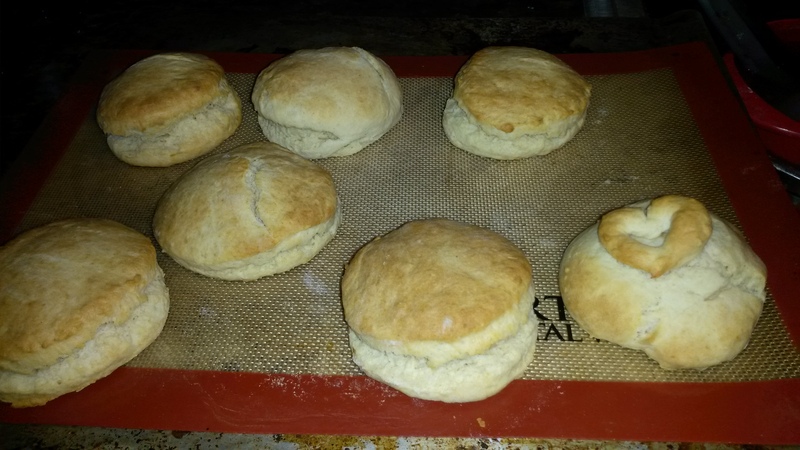 Before this, the only biscuits I had baked were from a scone recipe from one of my mother’s Australian cookbooks. It required three tablespoons of butter. 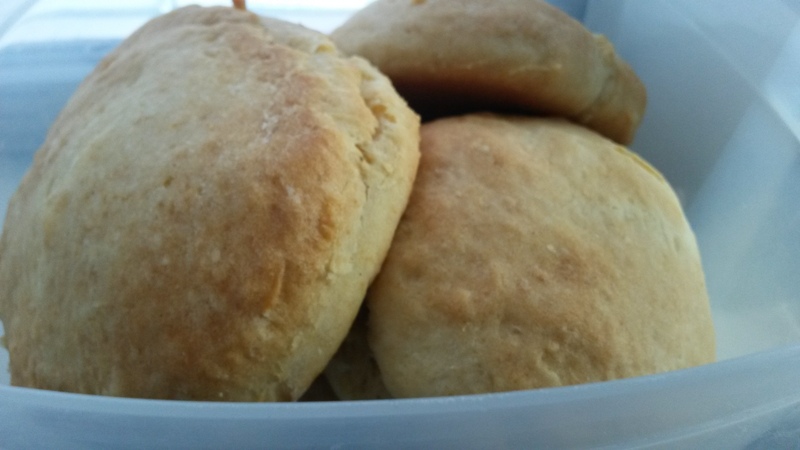 The biscuits it produced were soft, buttery, and perfect. 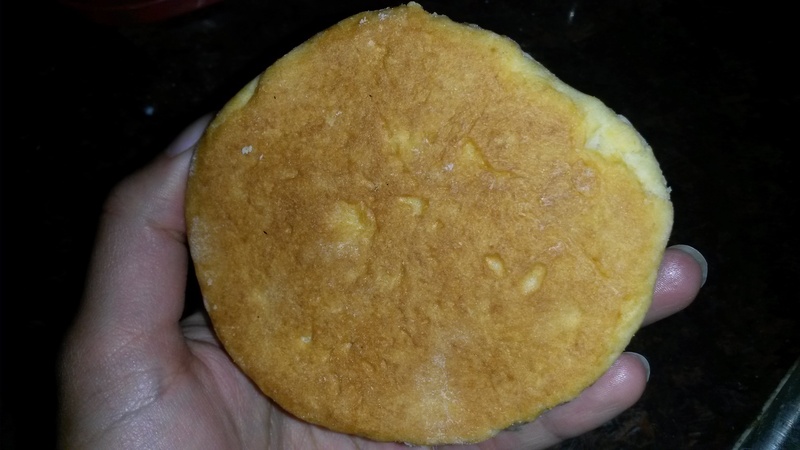 Due to the four teaspoons of baking powder, they baked tall, and they had a natural split line in the middle, giving them the ability to split perfectly in two, no knife necessary. And so I remained loyal to this recipe. Occasionally I tried others–biscuits made with melted butter, with cream, with buttermilk–but nothing was quite so buttery and fluffy as this recipe. 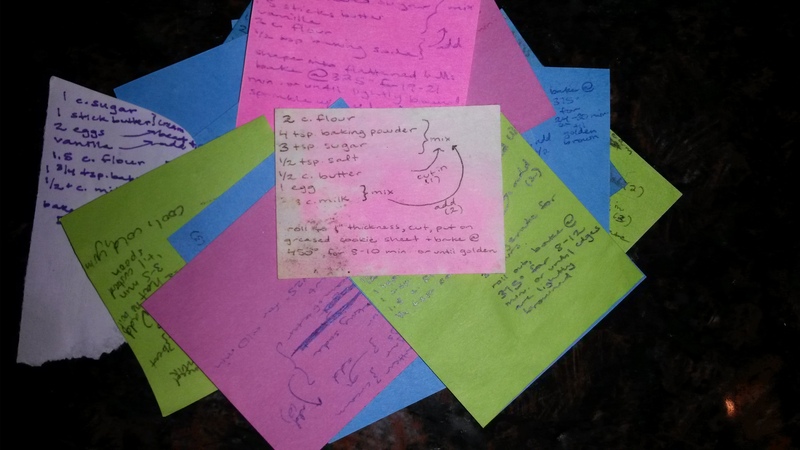 I’d return to that tiny pink Post-It every time… as evidenced by the way it’s aged over the years in comparison to my other recipe Post-Its. I even tried to bring some of that hominess and familiarity into my new apartment the following year. On my first night there, my roommates hadn’t moved in yet and I was in that awkward move-in phase of just-went-grocery-shopping but hasn’t-yet-gone-to-Ikea, so I had food but no mixing bowls. I didn’t even have the recipe Post-It on me, or the internet required to look up an alternate recipe. But that didn’t deter me. All alone in my strange, new apartment, I spread plastic wrap on the counter and plopped flour upon it, adding the rest of the ingredients in proportions that mostly seemed right. In the end I had an acceptable dough, I cut out the biscuits with my mug, and I baked them on a baking sheet the former tenants had left. 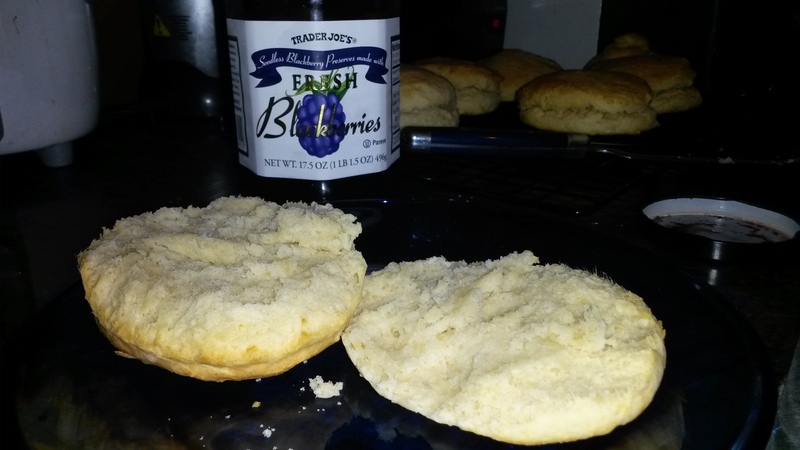 The biscuits were far too dense, but that didn’t stop me from using a knife to wrench one open and biting into it anyway. In any other circumstance it would have brought shame to that perfect recipe, and I’d have thrown the biscuits out. But I had baked something warm and comforting, which made the empty apartment/everyone away for the summer situation a little more bearable. So even those abominations count as a win, which means these biscuits have a perfect track record. I heartily endorse them. To start, preheat your oven to 400 degrees. The original recipe says 450, but all that ever got me was biscuits with burnt bottoms, and who wants that? Feel free to do 425 if you’re feeling wild, but a longer bake time at 400 degrees has always worked for me. 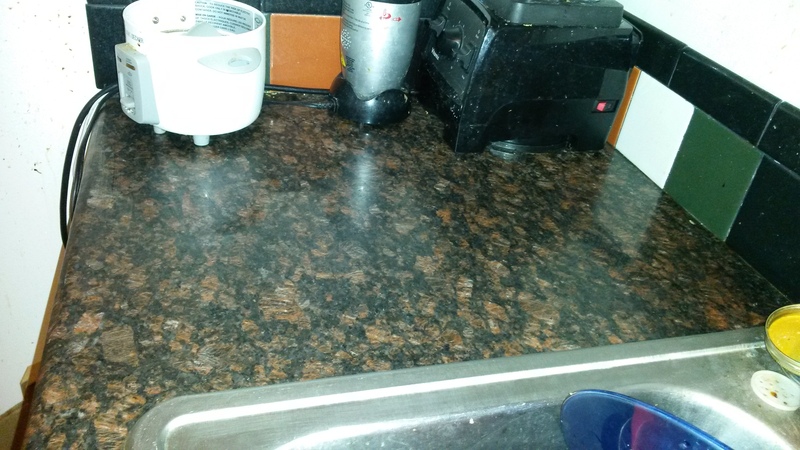 Ideally, you’ll have a bigger counter top. This is all I’ve got, but it works. Pour your dry ingredients into a bowl. 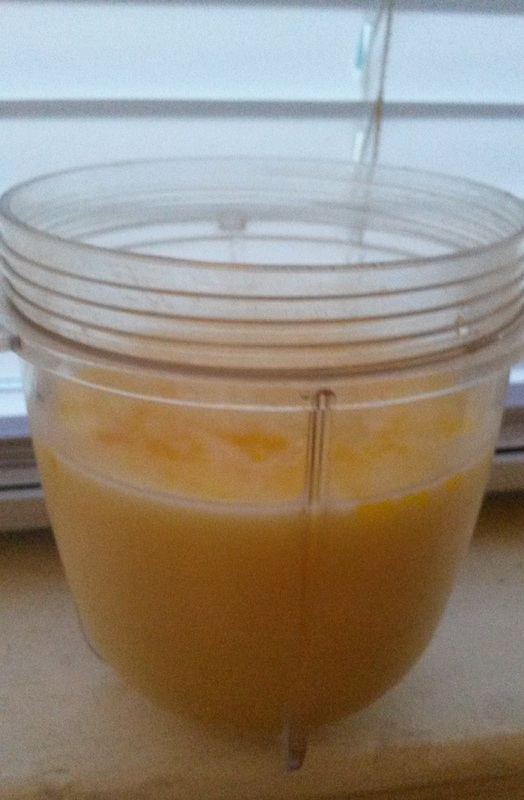 In a separate container, mix the egg and milk together. You want them on standby. Incorporate a glorious stick of butter into the flour mixture. I use my fingers for this, but forks, knives, pastry cutters, and food processors are also options if you want to go the civilized route. 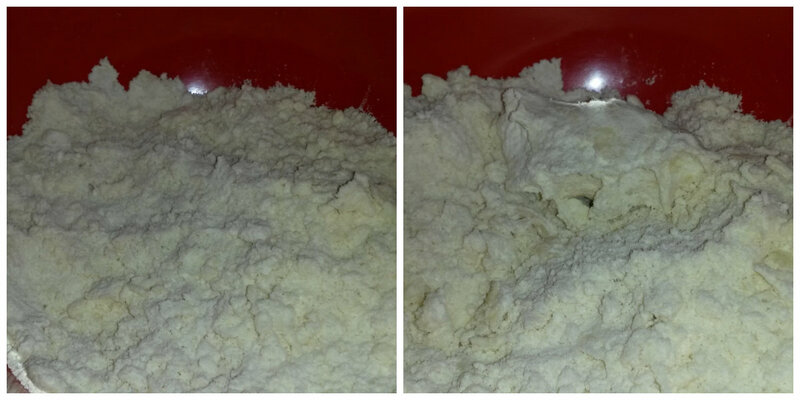 Once all the butter is added, the mixture should be crumbly–but it should also have enough moisture from the butter that the mixture clumps together if you squeeze it, like in the image on the right. 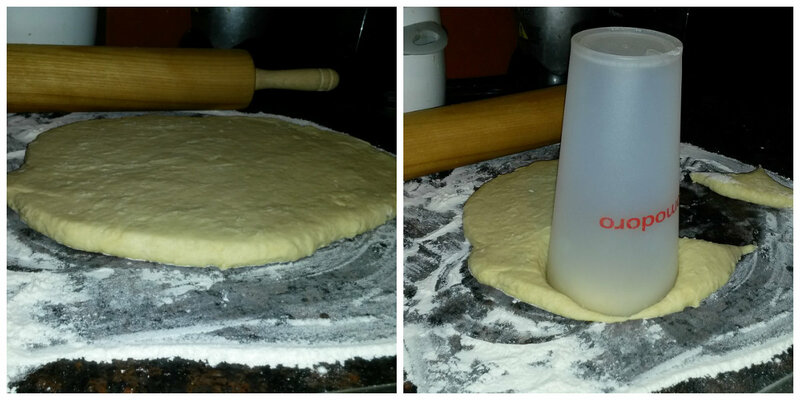 Roll the dough out to a 1″ thickness on a floured surface, and use whatever you like to cut out shapes. Generally biscuits are round, but you do you. Whatever you use, try to cut out the shapes in one clean downward shot–none of this rotating the cutter all around business. Too much of that can stunt a biscuit’s growth. 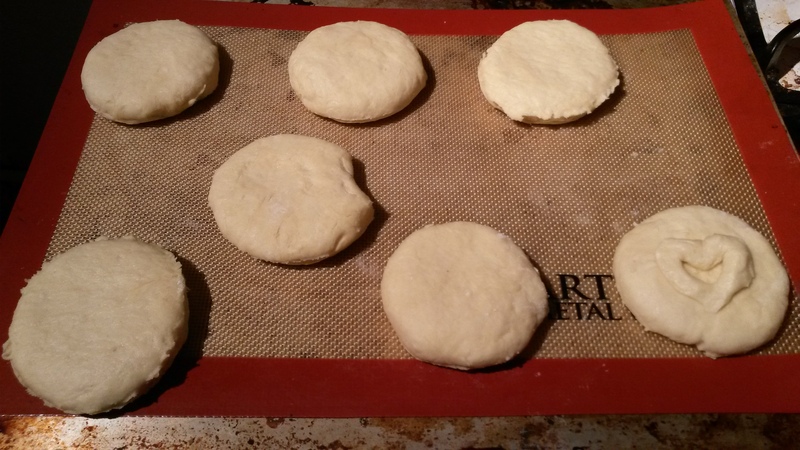 Place the biscuits at least an inch apart on an ungreased baking sheet. At this point some people brush the tops with milk, but that’s effort and it never really did anything for me, so let’s forget it. The original recipe said to bake it at 450 for 8-10 minutes, but I’ll recommend what’s worked for me, which is 400 degrees for 15 minutes, or until the tops are golden. See the way a natural splitting point has formed? You’ll notice the one in the bottom right didn’t form a split line because I cobbled it together from dough scraps, so it’s a bit of a Frankenstein’s monster. But at least it’s got heart. Unburnt bottoms are happy bottoms. Enjoy as you please. I’m partial to blackberry jam. Combine the flour, baking powder, sugar, and salt. In a separate container, mix the egg and milk. Rub butter into the flour mixture until it is fully incorporated. Stir in the egg mixture, adding more flour if needed, until a dough forms. 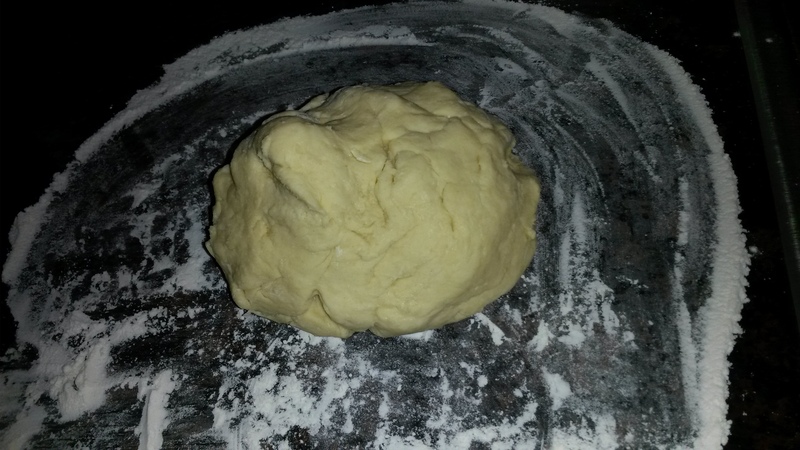 Roll the dough out to a 1″ thickness on a floured surface. Cut out biscuit shapes and place them an inch apart on an ungreased cookie sheet. Bake for 12-18 minutes or until the tops are golden. Let cool and enjoy. *I can’t seem to find the original AllRecipes post with the recipe. It’s been a good five plus years since I encountered it, so it’s possible it may not be there anymore, but I’ll keep looking and will link back if I find it. YOU are adorable! I adore this comment and I’m excited to see how your biscuits turn out. It’ll probably make me want biscuits and then we’ll be caught in an endless cycle. “Unburnt bottoms are happy bottoms”– you card! I’m honored and I love that you used the word “card.” People need to say that more often. Thank you for your comments! You are the best. Love the humor and the tips 🙂 Keep it up! Thank you! I’ll do a yeast post in your honor.